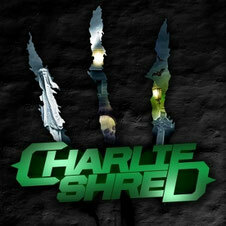 Charlie Shred was formed by the two guitarplayers in ReinXeed, Calle Sundberg and Mattias Johansson in 2008. The band website has been just launched on April 21, 2012. The band hired Tommy ReinXeed as a producer and drummer for the album as he knows how to produce a powerful power metal sound. Tommy is on not only drums but also backing vocals, additional guitars and keyboards on the album. Now you know three members of the band have been involved in Power metal sensation ReinXeed has reached good success with all their albums in Japan. Their self-titled debut album is released on May 23 in Japan and from Liljegren Records/Doolittle Group on May 30 worldaide. The album will attract fans of SABATON, IRON MAIDEN and METALLICA.